I was contemplating making the chocolate swirl croquembouche on the second last episode of Celebrity MasterChef, although that will have to wait until the Christmas holiday. I instead decided to make Eamon Sullivan’s Chocolate Delice, which scored the highest, 30/30 from the judges. It sounded fantastic, like an upmarket Mars bar. 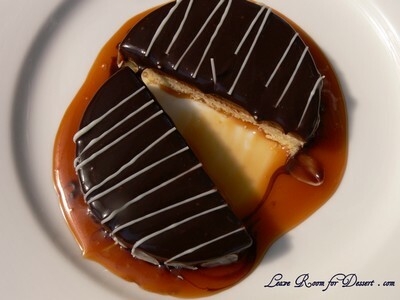 Biscuit, crème brulee, chocolate cream, chocolate ganache and salted caramel sauce – it does sound good, doesn’t it? I also thought I could make it over two days and this would make it a lot easier. I decided to follow the recipe exactly (even though it doesn’t state the strength of the gelatine leaf – I’ve been wrong before just assuming Chef’s mean gold strength). The biscuit came first and was a lovely consistency, it fell apart a little, but was lovely and silky. 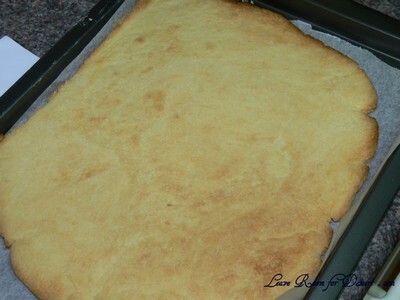 It was tasty once cooked too – like a cross between shortcrust pastry and shortbread. I got to the end part of the crème brulee section and thought to myself that the recipe sounded very strange. 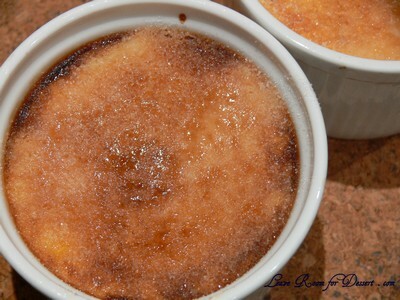 The crème brulee mix wasn’t a thick custard which would set, it was a thin custard which I thought could either be made into an ice cream by freezing or a crème brulee by baking in a water bath – which is the way I usually see it made. This recipe didn’t state anything about baking the crème brulee. Just pour it on top of the biscuit and refrigerate to set. Now, I decided to only test a few and leave the remainder of the mix in a jug in the fridge to make into proper crème brulee if it didn’t set. Surprise, surprise, it didn’t set. My two biscuits in the cookie cutters were not tight enough and almost all the crème brulee mix drained out of them. My made-up mould consisting of a cut up overhead projector sheet, held the mix in on top of the biscuit, but it was too runny and would have run everywhere if I had undone the plastic. I decided to place all my remaining mix into 2 ramekins and placed the ramekins into a small lasagne dish with enough water in it to come half way up the ramekins and baked them for 20-30 minutes at around 150C. 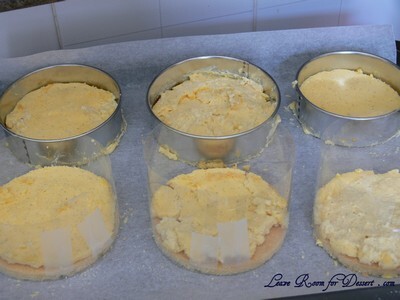 Once cooked (just set), I removed the ramekins from the oven and cooled them in the fridge for a few hours. Place one heaped teaspoon of caster sugar on top of each and place under a very hot grill until the sugar caramelises (or use a blowtorch if you have one). Serve immediately. Ok – so I made it again!! This time things went ok. I still had a few problems, but the overall result was gorgeous. I was concerned it would be too rich, although the combination of all components worked wonderfully together. I made the biscuit base and crème brulee the night before. 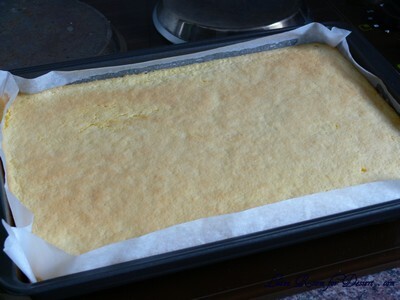 The biscuit base worked well (I rolled it out to fit a normal baking tray). It does crumble a bit while working with it. 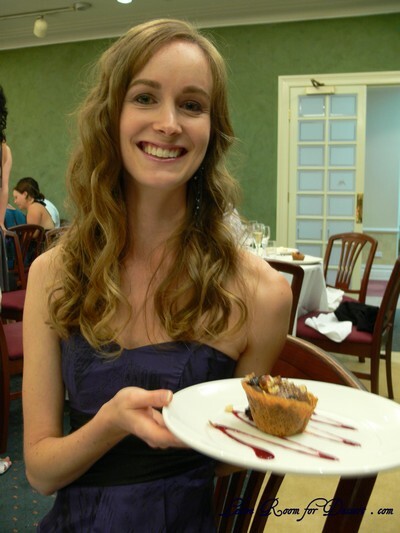 I cut 10cm diameter circles (6 in total) – although they could have easily been smaller, as the dessert was a little difficult for some to finish. 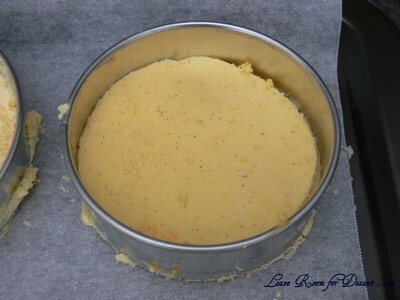 I cooked the crème brulee in a 23cm x 34 cm (2-3 cm high) baking paper lined tray for 25-30 minutes at 150C. This was then cooled overnight. I made the chocolate cream (although didn’t use it all) using 2.5 titanium strength gelatine leaves (total 10g) (one titanium leaf is supposed to set 250ml liquid). This was then cooled for 30minutes or more while I placed the crème brulee on the biscuit base. Firstly I scraped off the top layer of crème brulee, then cut it using a cookie cutter and carefully placed it on the biscuit base (most fell apart and I tried to spread it around evenly). 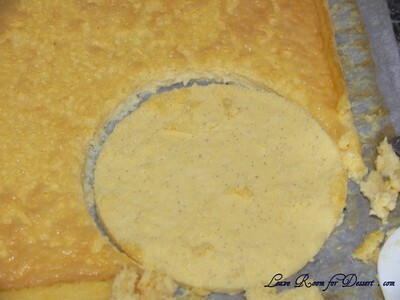 I used cookie cutters and plastic overhead projector films/sheets to hold in the crème brulee and cream, the cookie cutters worked better, although the films worked well enough. 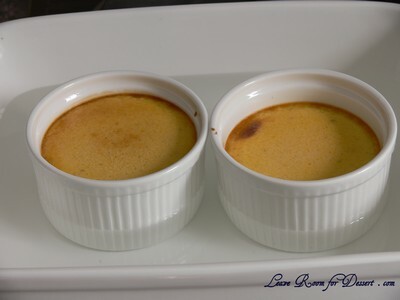 The cream was poured over the crème brulee and left to set in the fridge (for an hour or so). Prepare the glaze (I used half the quantity, which was just enough to cover all 6 delices). Let it cool and once the cream is set, remove cookie cutter (Eamon used a blow torch, although I don’t have one yet, so I carefully pushed the cookie base up). Pour the glaze on top and cool in the fridge. Roast the almonds (I forgot to do this), then place them around the set delice. Melt the white chocolate (I used 100g, but you could use less). Drizzle over the top and cool. I had a little bit of a problem with the sugar in the caramel. I tried to melt it over low or medium heat, but it didn’t dissolve. I continued to cook it and the water evaporated and the sugar became quite dry. Although after continuing to cook it on medium/high heat, eventually it started to caramelise (without dissolving first). Take it off the heat and stir in the cream, a bit at a time if need be (be careful as this bubbles up a lot), then whisk in the remaining cream and butter. Cool a bit before serving. 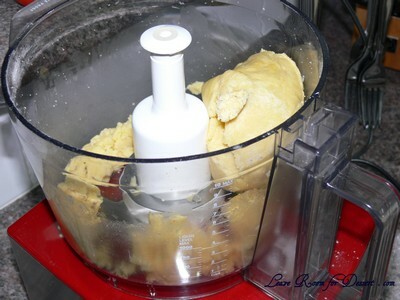 For the biscuit base, place the flour, butter, sugar and salt in a food processor and process to a breadcrumb consistency. Add the egg and process again to combine. 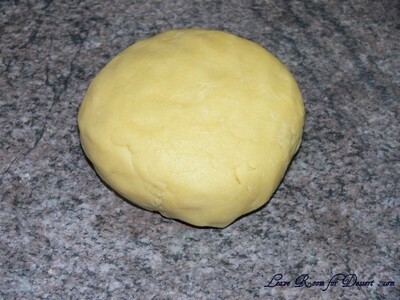 Tip out onto a clean flat surface and roll into a smooth dough, wrap in cling film and set aside to rest for 10 minutes. 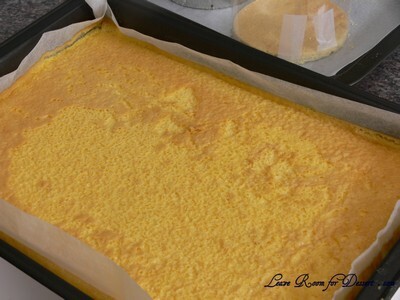 Once rested use a rolling pin to roll into a 1cm thick rectangle shape; place onto a baking tray lined with baking paper and bake in the oven for 15-20 minutes. 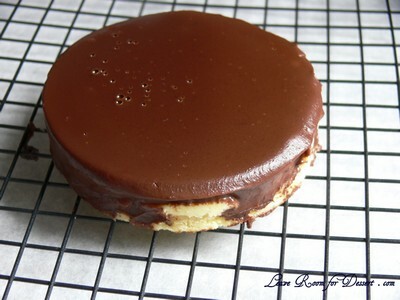 Allow to cool then using a circular cutter cut out biscuit bases, set aside. For the crème brulee, combine the cream, milk and vanilla beans in a saucepan and place over a medium heat, bring to the boil then remove from heat. Strain into a clean saucepan. 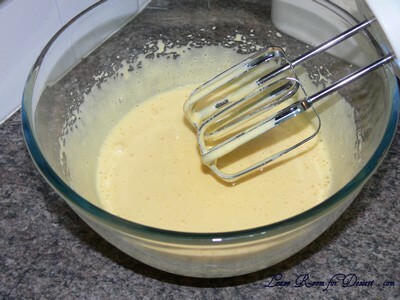 Place the egg yolks, whole egg and sugar into a bowl and using an electric hand beater whisk until thick and pale, pour half the heated milk mixture into the egg mixture and whisk continuously. Pour the mixture into the saucepan of remaining milk and place over a low heat, cook for 3-5 minutes stirring continuously. Pour into a jug and cool slightly. 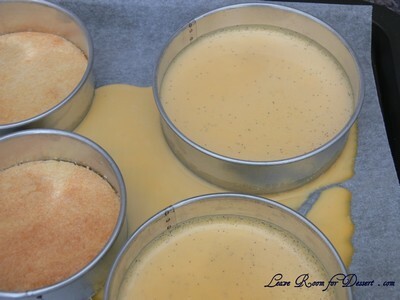 Place the biscuit bases on a baking tray lined with baking paper, place a ring mould onto the bases and pour the crème brulee into the moulds(I cooked mine for 25-30 minutes at 150C – see tips above), place in the refrigerator until set. For the chocolate cream, pour the cream into a saucepan and place over a medium heat, bring to the boil, whisk the cocoa in the boiling water and add to the cream, continue to whisk, add the white chocolate and stir until melted, add the dark chocolate and continue to stir until chocolate has melted, bring the mixture to the boil then remove from heat. Place the gelatine sheet in a small bowl of cold water to soak for a few minutes, using hands squeeze out all moisture, add to the warm chocolate mixture and whisk to combine. 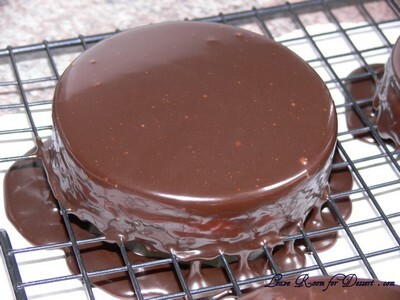 For the chocolate glaze, pour the cream into a saucepan and place over a medium heat, bring to the boil, reduce heat and add the chocolate, glucose syrup and water, whisk continuously until chocolate has melted and a smooth sauce is created. Place the almonds on a baking tray and place in the oven until lightly golden. Bring a saucepan of water to the boil, then reduce to a simmer. Place the white chocolate in a bowl, place the bowl over the water and melt the chocolate, spoon the melted chocolate into a piping bag. For the salted caramel, place the sugar and water in a saucepan and place over a medium heat, stir until the sugar has melted then allow to simmer until caramel has formed. 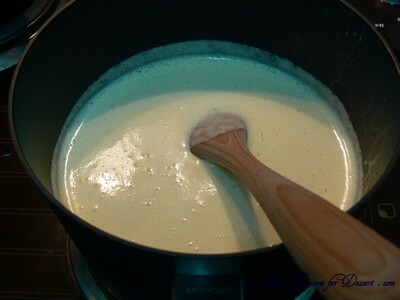 Whisk in the cream then continue to whisk in the butter, whisk to a thick glossy sauce. 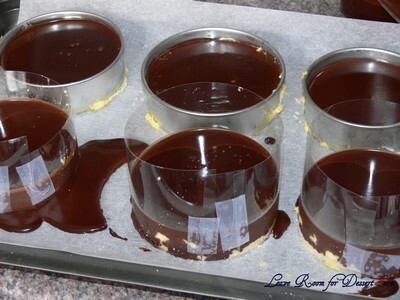 To prepare the delice, pour the chocolate cream over the set brulee and allow to set. 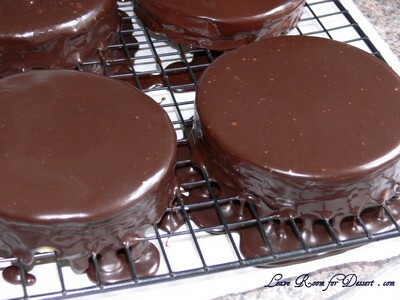 Remove the moulds and pour over the chocolate glaze. Allow glaze to set. Place toasted almonds around the edges of each delice. 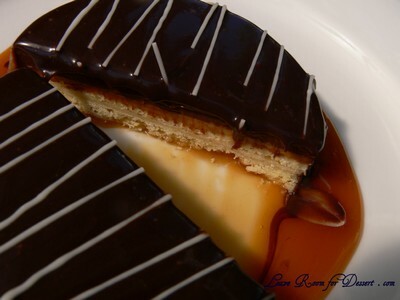 Drizzle the white chocolate in stripes over the delice. 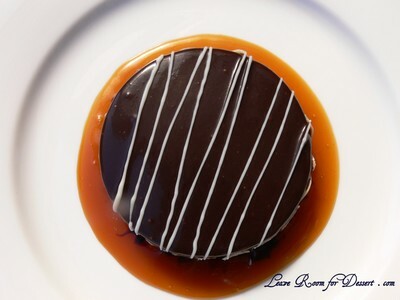 To serve, spoon caramel sauce onto a serving plate and sprinkle with a small pinch of sea salt, top with the delice to serve. 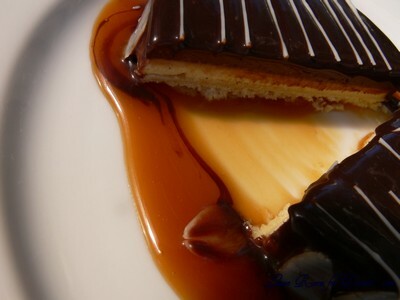 Filed under Cakes, Slices and Biscuits, Chocolate, Dessert, Egg Yolks, MasterChef, Recipes. You can follow any responses to this entry through the RSS 2.0 feed. You can leave a response, or trackback from your own site. Another superb dessert and I might add I had no trouble finishing it!!!!! These looks so professional!! I’m not sure whether to eat them……a pity to spoil them. But I won’t be able to resist eating too….yuuum. This looks beautiful and delicious! Thanks for sharing the entire process! You did some good detective work correcting the recipe, but how annoying that it left out steps. The finished product looks beautiful. A beautiful work of art! You did a fantastic job. It looks amazing. Fantastic!!! I saw that episode too and thought “OMG Eamon Sullivan getting a perfect score!!!”. It does look like a poshy Mars bar but yaknow what? 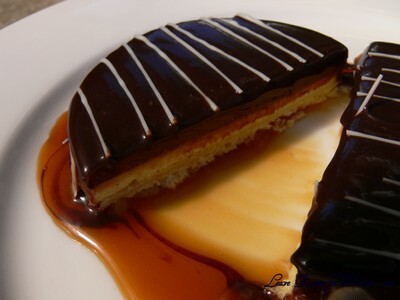 Give me chocolate and caramel anytime and I’d be happy!!! oh wow. they look so good, and you put so much effort into them. It was great investigating skills of yours to discover a problem and then solve it, but isnt that always the way with vague and strange recipes! I wish I could eat one of those right now! Oh boy that looks dangerously delicious! Mmmmm. Beautiful, even though you had your problems with the recipe. Determination made a success of this dessert. Why oh why are steps left out? My aunt used to do that, but I think it was deliberate. She was mean anyway. (But a great dessert cook.) I also read someplace that chefs really don’t like to give out their recipes. An awesome dessert! Really incredible and so scrumptious looking! Wow! What a wonderful dessert! The pictures are amazing. Wow- this looks so good! And you made so many too! I’ve always been to scared to try the Masterchef recipes because they take so long to do! Wow! These look awesome. The chef who taught Eamon how to make these works at the place we are having our wedding reception this weekend and have requested these. Can’t wait! What an amazing effort. Shame the recipe missed some vital information, but thanks to your effort – and subsequent notes! – for anyone else who wants to make this. Hi Anita – fantastic job! I admire you for persevering. With all the stuff you’ve cooked from this show – I am wondering when you will be on it! These are so impressive, they look amazing. On another note, I hate it when you follow a recipe to the letter and things don’t work out the way they should. Congrats on making a fab desert despite it! Thanks for posting your link in the comments on MasterChef. With your clever work, and kindness to include the details, this should be doable. The pictures are lovely, too! i am about to attempt this for a Christmas Eve dinner. I cannot thank you enough for your fabulous site. They say forewarned is forearmed and with all your tips, especially the baking the creme brulee bit which i do sort of remember from the show, I feel sure I will have success. Will let you know. A big thank you and Merry Christmas. Great job on this dessert! I put this in the ‘too hard’ basket to make at home – and I am an ex pastry chef. I don’t know why some people omit steps in recipes, it may be genuinely that they were forgotten, as there is an assumption of technique, or just plain meanness (chefs can be insecure). 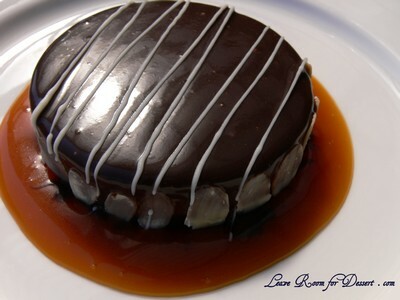 i have just impulsively bought some 10 cm stainless steel rings and have been pressured by the family to make this dessert. 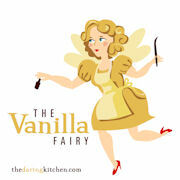 Thanks so much for persevering and tweaking this dessert. I love your step by step directions and photos. I feel encouraged to give it a go. Will let you know how I go! Hi, just wanted to know how many servings the recipe turns out to make? 4, 6 or 8? The recipe on the master chef website is actually completely wrong which is propbably why you had so many troubles with it!! They missed a lot of the steps. I have just finished doing my recipe to set it straight and putting it on http://eamoneats.blogspot.com if you want to see the difference! someone forwarded me this site saying it was already on the web! Good job. I wonder what it is,thickened cream. 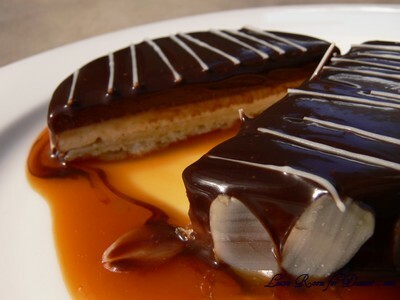 I live in Portugal and I do not know what it is, here must have another name, which is the same as cream? Eamon, Thank you so much for giving us the correct recipe; Anita, fantastic job of creating something beautiful out of the ruibbish MC site gave you. Daughter made this this afternoon and between this site and Eamon’s managed to come up with something truly beautiful. …way to complicated. I think I’ll buy it somewhere rather than fix it.